Mail Money is new money transfer service by Kotak Mahindra.To use Mail Money you just need email id and mobile number of beneficiary. Let’s discuss in detail about this service. 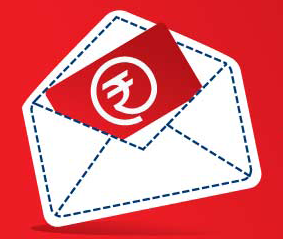 Mail money is Kotak Mahindra Net banking feature which allows you to transfer money by using e-mail id of beneficiary. Mail Money does not require account number, IFSC code or registration of beneficiary. This service is available only for Kotak Mahindra net banking users. What Mail Money can offer? Mail Money brings simplicity in money transfer. You just need to enter email id and mobile number for money transfer. Unfortunately this facility is available only for Kotak Mahindra Customers. Mail Money also offers security. In order to complete transaction OTP is required for both sender and beneficiary. Redemption link will be sent to beneficiary’s email id. It will also send alert for money transfer. Mail Money offers facility to schedule money transfer for next 7 days. You can use this feature to schedule gift for your loved one. Mail money give feature of cancellation. If you have done payment by mistake you can cancel the payment till the time payment is not being done. Choose Mail Money from Kotak Net Banking. Enter E-mail id and Mobile number of Beneficiary. Enter amount you want to transfer and press submit button. You and beneficiary will receive one time password (OTP) for double security. Send your OTP to beneficiary. Beneficiary will get email containing link for redemption. 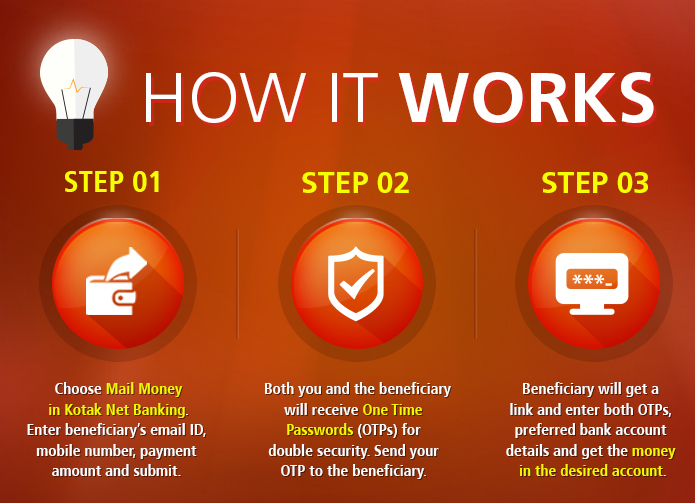 After entering OTP beneficiary need to input bank name, account number & IFSC code to receive the money. Account of Beneficiary can be with any bank. Fund Transfer limit for this service is 10,000 Rs/- per transaction and 50,000 Rs/- per day. Do you think this facility will help you? Do share your experience!